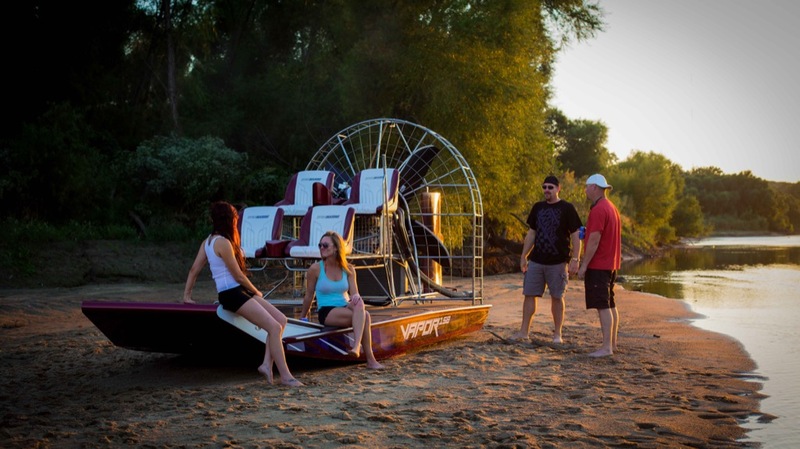 Once you realize that a DynaMarine is the brand for you, we can help you make your airboat dreams come true. Because every Dyna is a personal expression of its owner, we offer you a choice of four hull styles and a wide range of performance, rigging and outfitting options to make it your own. To help you spec your boat, a DynaMarine representative will work with you to select the right setup, including build package, powertrain configuration, and custom finishing preferences. From there your Dyna will be handcrafted with care and delivered with pride for you to enjoy. DynaMarine also makes it easy for you to complete your purchase with available financing and trade-in programs. If you’re ready to step up to the new standard of performance, quality and style, get yourself a Dyna. We are marine specialists and we appreciate the value of used vessels. Whether you presently run an airboat, a pleasure boat or a performance boat, send us photos and details and we’ll try to get you top dollar for your trade. We collect information from you when you register on our site, place an order or fill out a form. When ordering or registering on our site, as appropriate, you may be asked to enter your: name, e-mail address, mailing address or phone number. You may, however, visit our site anonymously.